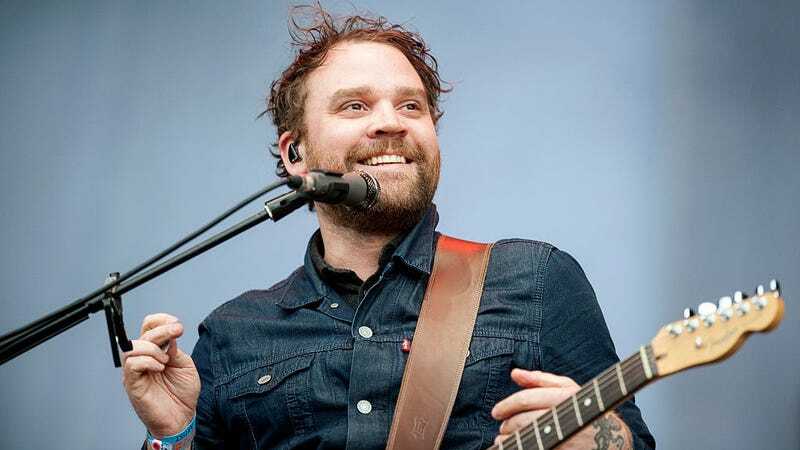 Last night in Brooklyn, a collection of artists came together to pay tribute to Frightened Rabbit’s Scott Hutchison, who died at age 36 in May, for Tiny Changes: A Celebration Of Scott Hutchison. The list of musicians, which included Julien Baker, The National’s Aaron Dessner and Kevine Devine, Death Cab For Cutie’s Ben Gibbard, and The Hold Steady’s Craig Finn, performed a series of covers from throughout Frightened Rabbit’s career. As Stereogum notes, many of the artists who appeared at the show have a history with Frightened Rabbit: Baker was a guest on “How It Gets In” from last year’s Recorded Songs EP, Dessner produced 2016's Painting Of A Panic Attack, and Gibbard previously toured with Hutchison. While the entire show isn’t available, a handful of the songs have been captured on video. Below, Dessner and Gibbard perform an acoustic rendition of “My Backwards Walk” from the band’s sophomore LP, The Midnight Organ Fight. Lastly, there’s a video of Baker’s gorgeous solo performance of “Holy” (also from Pedestrian Verse).